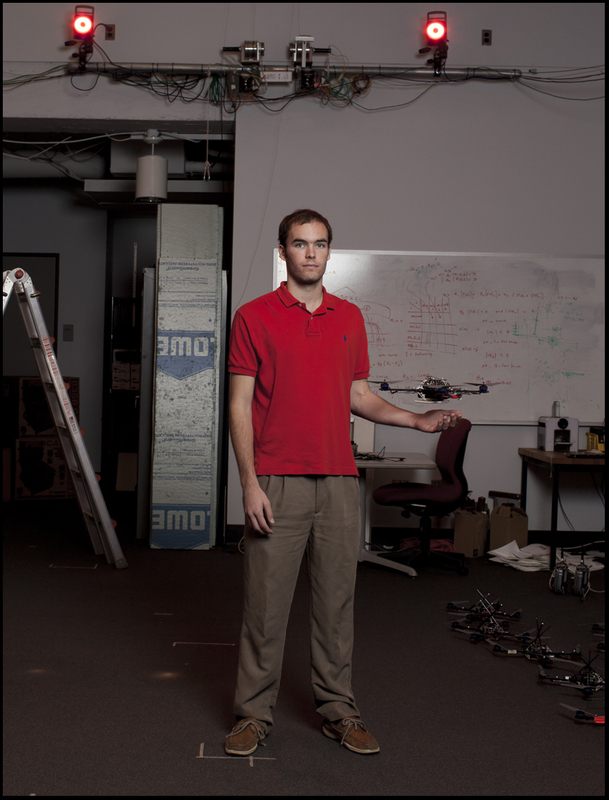 STUDENT WITH IDLE FLYING QUADROCOPTOR Quadrocopters are four rotor UAV's (Unmanned Aerial Vehicle), built with flight versatility in mind. They are coded with spatial awareness through mounted cameras. Able to fly through windows at almost any angle at a reasonable speed. The copters are able to maintain flight after interference or shock.